The Heathermoor neighborhood in Marietta is a beautiful community with gorgeous homes located in East Cobb’s Walton High school district. The European-style homes feature brick and stone exteriors and prices start at $1 million. Many of the homes are custom built to perfection with one-of-a-kind upgrades and features. Heathermoor is located in the 30062 zip code. 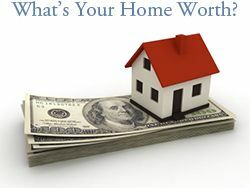 See all homes for sale in Heathermoor. Here are the top 10 reasons why we love Heathermoor and East Cobb. Neighborhood – The custom built homes in Heathermoor were built in a beautiful setting with lush landscaping. Many of the properties have numerous high-quality interior upgrades and unique design elements. 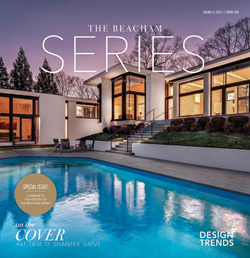 Other special features that several homes have include swimming pools, outdoor kitchens, hot tubs, outdoor fireplaces, media and game rooms. One home even has its own basketball court! There is also a Homeowner’s Association for the neighborhood. Heathermooor students attend Cobb County Schools: Timber Ridge Elementary School, Dodgen Middle School, and Walton High School. These award winning schools have received several distinguishing honors and their achievements can be viewed here. 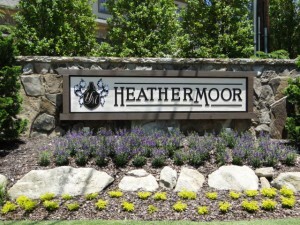 Location – Heathermoor is located on the north side of Roswell Road in Marietta. The neighborhood has easy access to several suburbs and downtown Atlanta via Roswell Rd and GA-400. Click here to view Heathermoor on the map. Vickery Creek Park – Vickery Creek Park is a quick drive east on Roswell Rd. The park offers picturesque scenery, tons of hiking trails, and a beautiful covered bridge. There are also several picnic areas with tables along the creek. Hikers will enjoy being able to see two historic buildings (Allenbrook and Ivy Mill) along the trails and explore the area of the Old Roswell Mill. Vickery Creek Park is designated as one of the Chattahoochee National Recreational Area parks. 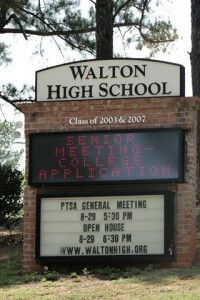 Waller Park – Waller Park is a short distance to the east of the Heathermoor neighborhood. The park has a new playground with a 25 foot Megatower, rock-climbing walls, and wheelchair accessible ramps. The park also offers nature trails, picnic pavilions, a rec center, athletic fields, and the Atlanta Cricket League also plays games there. To the east of Heathermoor, residents can enjoy restaurants such as: Bella Italia, El Porton Mexican Bar and Grill, and Starbucks. To the west, there are several restaurants at the The Avenues of East Cobb and the other shopping centers near the mall. Some of the favorites are: Seed Kitchen and Bar, Marlow’s Tavern, Tijuana Joe’s Cantina, Houlihan’s, Zoës Kitchen, California Pizza Kitchen, Bamboo China Bistro,and La Madeleine. Shopping – The Avenues of East Cobb is just a few minutes to the west of Heathermoor. 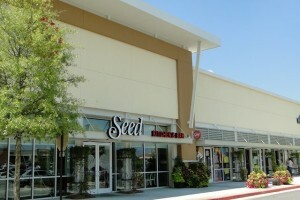 The beautiful outdoor mall has stores such as: Bed Bath and Beyond, Gap, Eddie Bauer, Pottery Barn, Michaels, Loft, J. Crew, Banana Republic, Talbots, and more. Merchant’s Walk is also near the mall and it has a Kohl’s, Old Navy, ULTA, Whole Foods, and the Merchant’s Walk Stadium Cinema 14 movie theater. 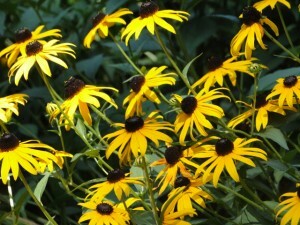 The Chattahoochee Nature Center is located at 9135 Willeo Rd in Roswell – just a quick drive from Heathermoor. The learning center has great events for children, families, and adults with everything from wildlife programs, environmental education, horticulture, and other fun outdoor and nature inspired activities. The Center also hosts several annual festivals and events, including an Earth Day Fest, Halloween Hikes, a Holiday Market, and the Flying Colors Butterfly Festival. There are also many groups, clubs, and camps for all ages and interests. The Chattahoochee Nature Center is a perfect setting for weddings, conferences, birthday parties, and all types of celebrations or meetings, as well. Heathermoor residents can take advantage of the many Marietta and East Cobb annual events. Some of the popular festivals and events include: Marietta Easter Egg Hunt, Marietta Square Farmer’s Market, Holiday Lights at East Cobb Park, The East Cobber Parade and Festival, Taste of Marietta, Taste of East Cobb and Festival, Movie Nights at East Cobb Park, Fourth of July in the Park at Marietta Square, and much more! Morgan Falls Reservoir and the Chattahoochee River Recreation Area –The Chattahoochee River is just a few minutes away from Heathermoor. The area is a National Park and it has over 50 miles of hiking trails along the Chattahoochee River. The Morgan Falls Reservoir is just southeast of the neighborhood, and the park offers a variety of hiking, fishing, boating, and picnic areas. It is a great place for a plenty of outdoor activities or even just a leisurely walk. Near the Morgan Falls Reservoir, visitors can go kayaking, canoeing, rafting, or have a picnic in an open field or at one of the designated picnic areas.